Digital Writing Ideas K-College can be found all over the Internet. For this Red River Valley Writing Project (#RRVWP) teaching demonstration, we provide prompts, activities, and tools for three kinds of digital writing: tweets, digital stories, and blogs. We try to acknowledge in each section what will seem familiar, and what might seem new (even if there is nothing new under the sun), with an emphasis on “the network” as an important, newish component of digital writing. We also emphasize–our big idea!–the continued relevance of the writing workshop approach in digital writing, a component that is often skipped over for (good?) reasons like our students become so engaged they just draft and draft and draft without feedback, or, we haven’t figured out the right tools for commenting (no more chicken scratches in the margins). 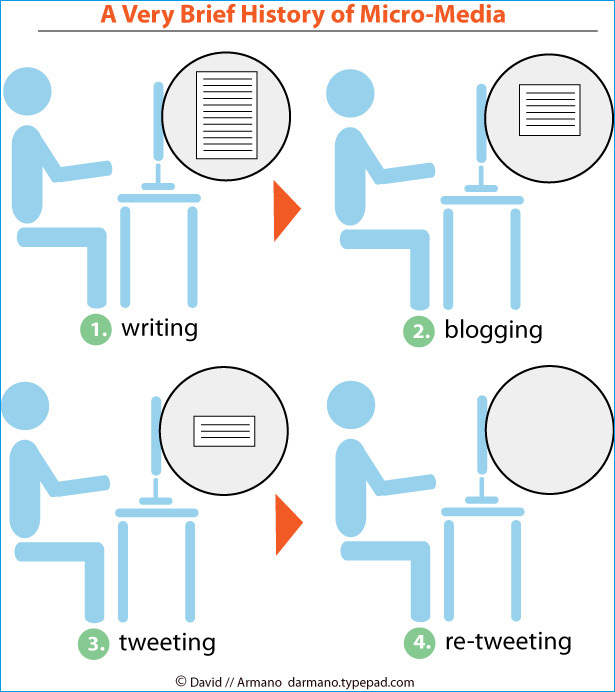 Why teach digital writing, or more specifically, experiment with Twitter, blogging, and digital storytelling in the classroom? These practices and forms are relevant, engaging, and empowering. Is the traditional research paper or personal essay dead? Not necessarily, but they should strive for the same goals: relevant, engaging, and empowering.